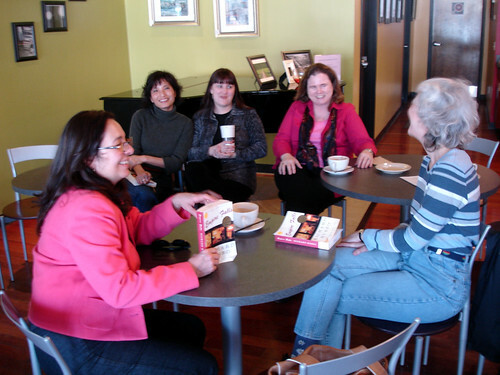 A group of Chelmsford residents, including library Friends, staff and patrons, gather at The Java Room in Chelmsford, to talk about Empire Falls, by Richard Russo. This is just one of the many book discussions scheduled around town. Read more about the "One Book Chelmsford" program, or see the schedule of upcoming book discussions.